(Phys.org)—Children need access to technology if they want to succeed in the 21st century with so many of the world's transactions done over the internet, says Massey Professor Mark Brown. This time of year parents flock to stationery stores to purchase items required for the school year, and some will be asked to buy a laptop, tablet or smart device for their child. This may seem like a lot of money to spend on a child, but Professor Brown, director of Massey's National Centre for Teaching and Learning, says it is an investment in their future. He says purchasing a computer or tablet is important for developing your child's technology skills for future employment. "In less than a decade people have become accustomed to downloading their music from the web, reading electronic books from Kindle and iPad-like devices, and accessing the latest news and events through online sources," he says. "If our children are to take full advantage of the potential benefits offered by new forms of digital learning, then access to appropriate technology is essential." 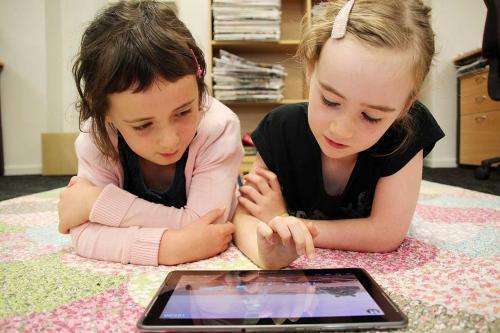 A recent parliamentary inquiry into digital learning recommended that all children and teachers have appropriate access to technology. "We have a responsibility to address the growing problem of digital exclusion. Learning through technology is one way of ensuring that we develop a more inclusive society where children develop appropriate 21st century skills." He says both parents and teachers play an important role in ensuring children make the most of the technology available. "It's important to acknowledge that digital technology does not replace the best of conventional learning that occurs in the classroom or at home. "The benefits of technology depends on the way children, parents and teachers choose to use it to enhance learning. When used well for educational purposes, the latest technology can help create opportunities for more active and meaningful learning experiences." However it doesn't mean everyone in a household needs their own device. "It's unrealistic to think that all parents and caregivers can afford the cost of the latest iPad-like device. There are benefits of sharing a common device as rich conversations can take place around the technology. "However, there are times when you need some type of computing device to complete a piece of individual work. This is why parents and teachers are important in ensuring the best and most equitable use of the technology." He says parents concerned about their children using social networks such as Facebook need to appreciate the role technology now plays in supporting friendships and encourage their children to include them in their network. "Learning is inherently a social activity and rather than trying to ban children from joining such networks and playing online games where they collaborate with other players from around the world, we need to educate them, and many adults, on appropriate usage. "Digital literacy is here to stay and if we are serious about taking advantage of the potential benefits of digital learning then we need to appropriately resource our schools and teachers."